Thank you very much for choosing Boot Camp Marbella. 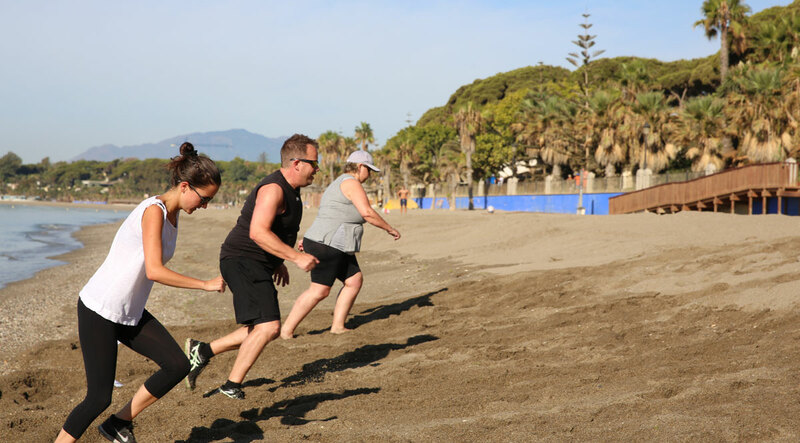 Now you have decided to book your Fitness holiday with Boot Camp Marbella you can finalise your booking by arranging the payment. To make the payment fast and convenient for you, Boot Camp Marbella offers three different payment methods. Please transfer your deposit, full-or final payment to following bank account. We require a 250€ deposit upon reservation and the remaining balance should be paid latest 15 days before arrival. You can also transfer the full amount. As soon as the funds hit our account we will confirm your booking. Please mention your full name in the reference of the transfer. Thank you. By filling in the contact form on the link below, we will send you a secure link to make the payment online. The credit card payment over the phone (+34 620 126 351) with a Boot Camp Marbella is the easiest and fastest way to make your payment. As soon as payment is taken we will confirm your booking by email. We require a 250€ deposit upon reservation and the remaining balance will be due latest 15 days before arrival. You can also pay the full amount by card. Within 24 hours of receipt of payment you will receive booking confirmation, which will include a health questionnaire and administration documents. The full balance has to be paid latest 15 days before arrival. In case of a cancellation we will refund the amounts paid minus an €80,00 administration fee. There will be no refund in case of cancellation within 15 days of arrival. The prices on the site are all VAT 21% incluced. The payment will be made to the Fitness Company Marbella SL, (commericial name Registered trade mark Boot Camp Marbella ®) with fiscal number CIF: B-93149623 and legal address, Balcones del Lago, Blq2, Apto 15, 29611 Istan, Malaga Spain. Register number: MA-110996 Tomo 4934 Folio 50.